Skyline Design is synonymous with a comprehensive portfolio of durable, contemporary and elegant outdoor furniture. In addition, our furniture is 100% eco friendly, UV and chemical resistant, all weather-proof and maintenance free. Our range of furniture includes dining sets, sofas, bar sets, sun-deck loungers and occasionals. Wholly manufactured in Indonesia, each piece of furniture is completely hand woven with premium wickers (Viro® , Ecolene® and Rehau®) from Europe. Our cushions are made of Quick Dry FoamTM (commonly referred to as QDF) with covers sewn from Sunbrella® fabric which comes in a large variety of colours. 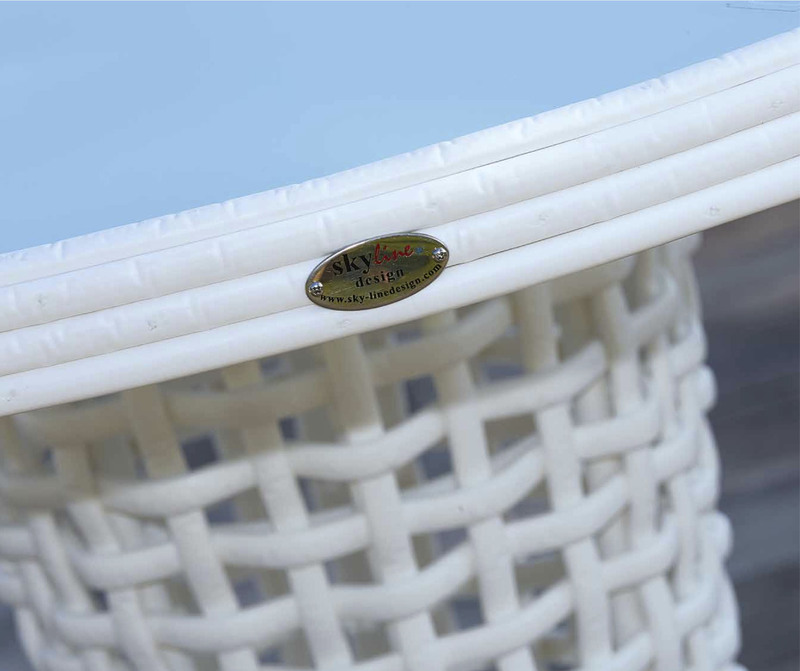 Durability is usually a main concern for outdoor furniture. They are constantly exposed to the elements, and where we live, humidity, heat and rain are key issues. Because Skyline Design’s furniture is hand woven, fraying or tearing caused by expansion and contraction of materials due to the weather is usually rare. Furthermore, the high quality of the wickers ensures high tensile strength. Skyline Design products also utilize a large range of wickers of different colours and thickness. Depending on a particular range or model, one can select a specific wicker to suit one’s needs. Customizations are also available for our clients subject to confirmation from the manufacturer.